One of the nicest and pleasant hostels I have ever stayed at! The rooms were great, nice and quiet and clean. Showers and bathrooms were the same and in abundance. The staff were so friendly and helpful, booking our tours, even gave me aloe for my sunburn and let me shower when I had already checked out. The breakfast and family dinner is AMAZING! Great way to meet fellow travellers and make friends. Would definitely recommend, and I’ll probably go back. Thanks guys! Great hostel. Stayed in a very comfy cosy private room. Was very clean. The staff is really friendly and helpful. Breakfast is nice. We can rent motorbikes from the hostel. Nice restaurants around, especially one vegetarian one that is cheap and soooo good :) Had a great stay at this hostel and would come back for sure. Very impressed! Friendly, helpful and smiley staff settled us in quickly with some tea and information. Good atmosphere with cheap happy hour and a 'family dinner' where a tasty buffet of local food was made which we - and others - enjoyed very much! Decent breakfast with a choice of local or Western. Very clean and secure, curtains in our dorm room and laundry received on time. Able to book tours and activities with them. 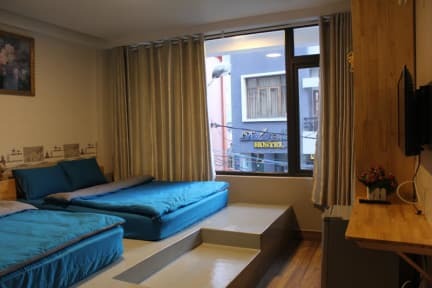 The hostel was keeping with the lovely area of Da Lat. Staff was so nice and helpful! Loved the delicious family dinner. Very chilled. Just what I needed! 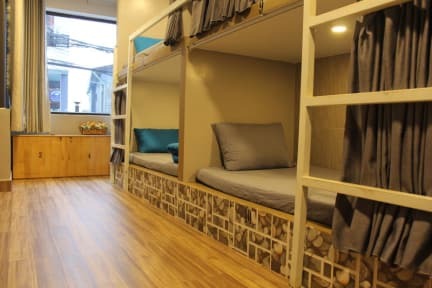 Nice hostel with large comfy beds (the deluxe dorms), big lockers and privacy curtains. Receptionist was very helpful with buses. Location is not too bad as its only 10-15 min walk into town. The main gripe i have is that the room i was in stunk really bad. Dorm room was small, but the bed was comfty. Bathroom was clean and they provided a free towel to use for shower. Breakfast was decent with fruits included. Overall it was a very comfortable stay.